It’s easy—and totally delicious—to turn chicken livers into pâté, serve it with toast and call it a day. But a little more creativity can take the dish to new heights, whether it’s using seasonal vegetables to add depth, turning it into a tart or taco, or calling on unexpected flavors, like an old fashioned cocktail, to shine new light on a classic. At The Shed in Healdsburg, Calif., the chicken liver rides the balance between decadent and decidedly light. Perry Hoffman adds seasonal touches like the dollops of mustard seeds and scattering of chervil, chive blossoms and parsley atop the rich pâté, which arrives at the table already spread on a thick slice of grilled toast. Grilled onions, or sometimes mushrooms, lend depth. You can’t help but crave a glass of rosé to accompany it, making this one of our favorite ways to start a meal in wine country. Familiar flavors inspire some chicken liver presentations; at Entente in Chicago, Brian Fisher serves chicken liver with bourbon, orange and Angostura, which recalls the flavors of an old fashioned. 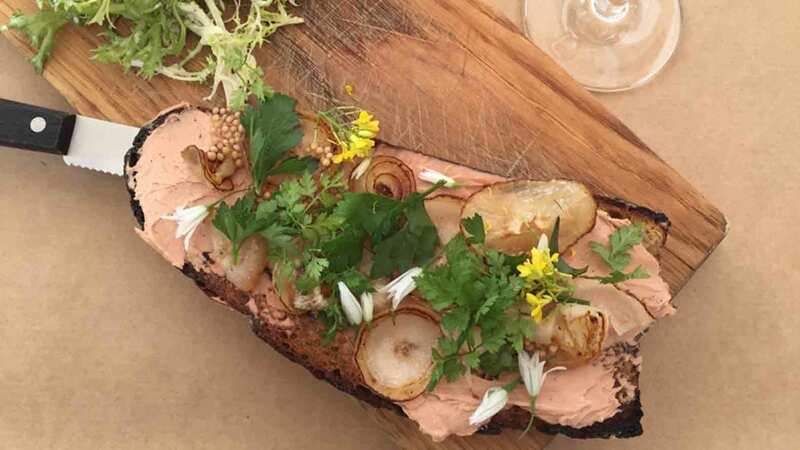 “The chicken liver mousse is a traditional prep, just with a touch of bourbon added in the mousse,” Fisher says. “It's the supporting parts that really bring it together.” The gel on top is made from clarified orange juice and Angostura bitters, and the orange cocktail garnish is reimagined as freeze-dried orange segments. The flavors of a Reuben inspire the chicken liver toast at Roister in Chicago, where Andrew Brochu’s dish features a slice of toast slathered with chicken liver and decorated with onions, cilantro and dill pickles. Leave the toast aside and try a tart, as chefs in Atlanta and Chicago are doing. At Staplehouse in Atlanta, Ryan Smith turns liver into a tart (recipe). The sliced tart is topped with a honey-vinegar gelee and comes garnished with fennel and corn nuts for textural variety. 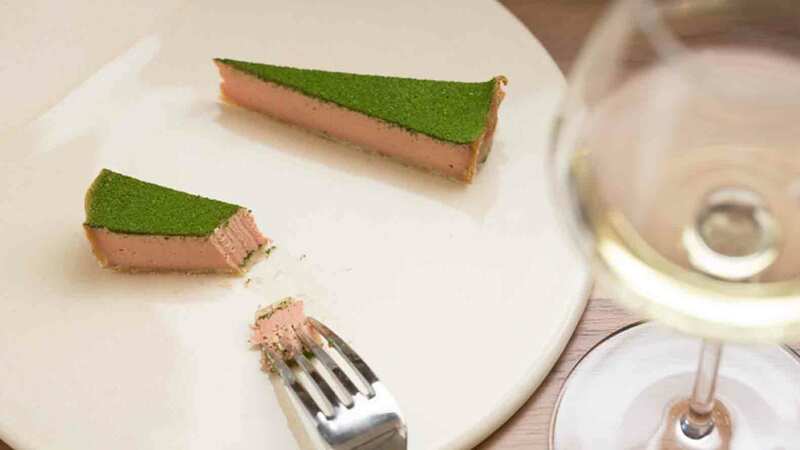 Meanwhile, at Chicago’s Elske, David Posey opts for duck liver over chicken liver for a savory snack-sized tart on the tasting menu. “I think duck is a bit more full-bodied and richer than chicken liver,” says Posey, who bakes the liver with foie gras, shallots, cream and garlic in a nutty buckwheat crust, and adds a gelatinous top layer of chicken consommé with salted ramp juice. The rich, two-bite wedge is brightened up with a lush green dusting of dried parsley powder. And at the new Burro Bar in Brookline, Mass, chicken livers get the taco treatment. 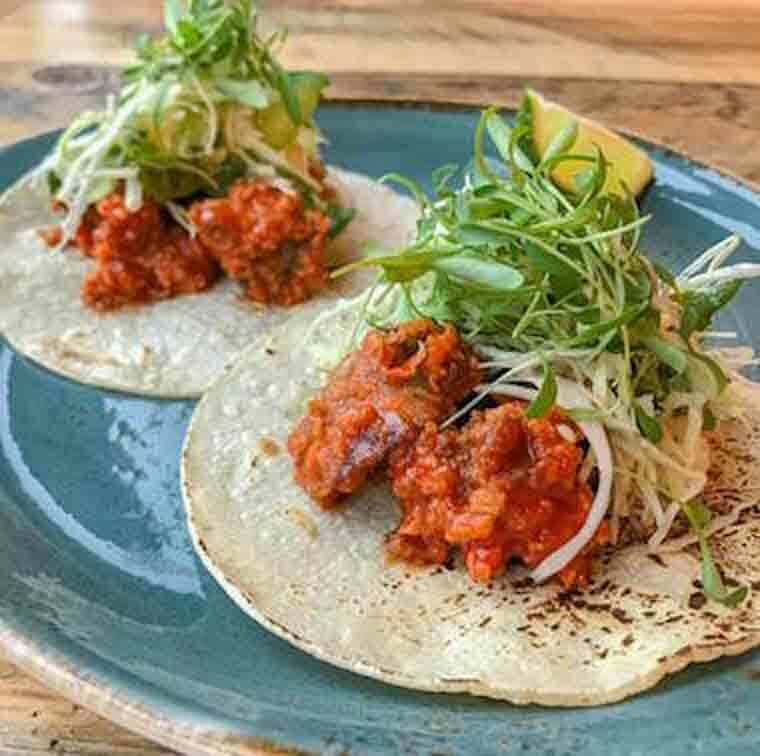 Joe Cassinelli creates a taco by tossing crispy chicken livers with red chile and tamarind glaze and dressing it with blue cheese, celery and chiltepe pepper slaw. The spicy dish is a play on buffalo chicken, which marries two classics into one dish.